The old saying “Time is money” is true and has been proven over and over. Our company vision at Trappeur Homes is to supply energy efficient, healthy and mold free prefabricated quality homes which can be build fast and efficient from the foundation walls to the lockup stage. 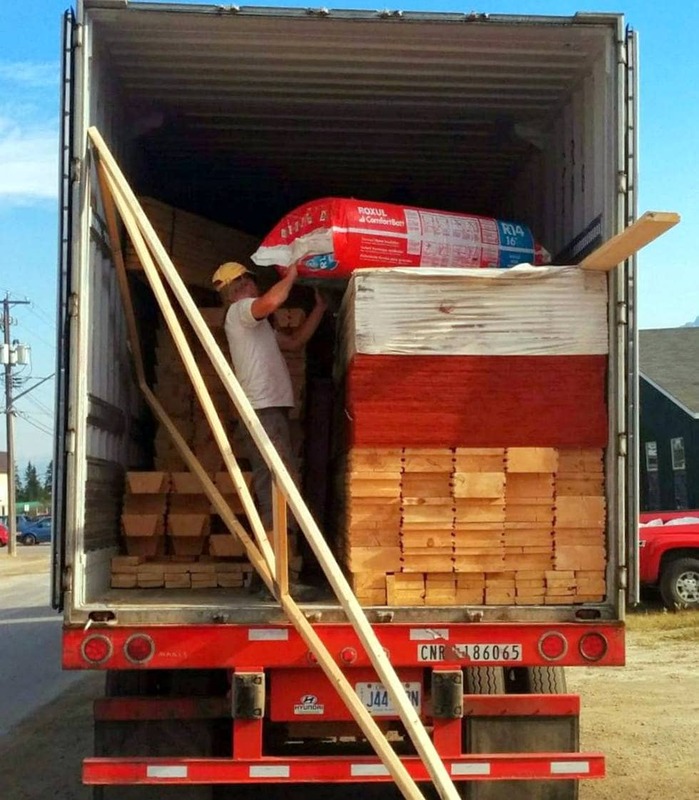 Our packages (from the sub-floor up include dovetail logs, decking, doors & windows, upper flooring and roof) will be shipped by rail and truck direct to your job site. Once on site, we include a coach for 2 days to help you unload and sort the package and in how to install the dovetail logs. 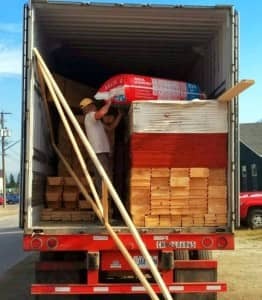 With our prefabricated dovetail package, home owners and contractors surprise them self’s every time in how fast they are able to unload and assemble the dovetail log walls. At typical building will be unloaded from a CN container within 4-6 hours (with about 5-8 people). And in most cases the main floor log walls can be assembled the same day with a crew of 4-6 people. * Follow this link to see how to assemble a dovetail log wall. The video below shows what a Jasper contractor with his crew and our coaching did in 10 hours. Job well done to Gary and his crew!